The Golden State District is Burbank's longest-serving employment center. It lies at a stunning intersection of air, rail, and bus transit networks. Welcome! 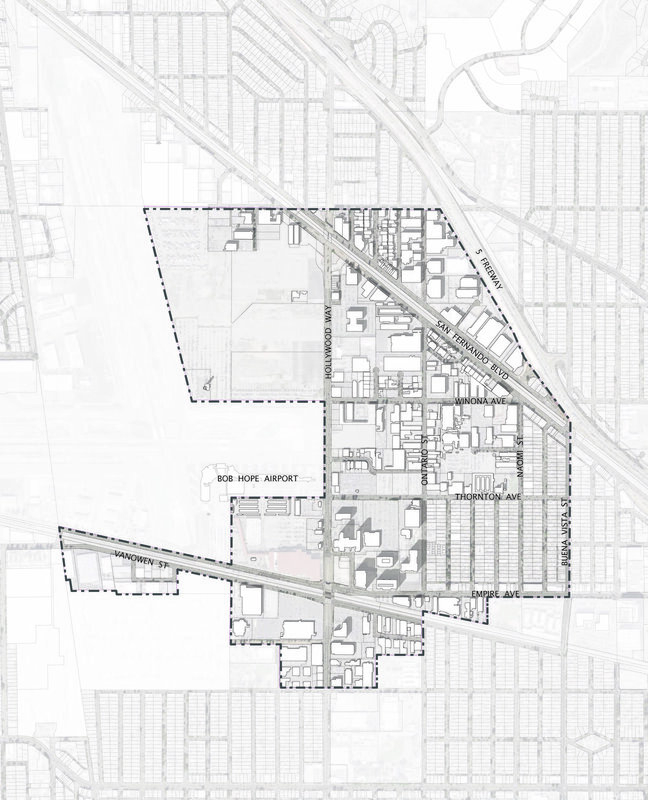 This is the community portal for ongoing planning in the Golden State District, a 640-acre commercial-industrial area, adjacent to Burbank Airport in Burbank, CA. Here you will find the latest project updates, information on upcoming community events, and resources to track the progress of the planning effort. If you would like to receive email updates, please sign up for our mailing list. The Golden State Specific Plan will be prepared over an 18-month period. Learn details here. The Golden State District occupies 640 acres east of Burbank Airport. Read it's story here. Why is the District Important? The Golden State District is Burbank's original employment center. It is also its most up and coming. Learn about the origins of the district and its evolution over time. Learn why your voice is critical in shaping the District's future. This planning effort is being conducted by the City of Burbank, and is supported by grants from the California High Speed Rail Authority (CHSRA) and the Los Angeles County Metropolitan Transportation Authority (Metro).